WASHINGTON—A Syrian man accused of trafficking Syrian and Lebanese nationals to the U.S. border was sanctioned on Wednesday by the U.S. Treasury’s Office of Foreign Assets Control, which said it was intent on disrupting his “prolific human smuggling operations” around the globe. Acting under executive order 13581 “Blocking Property of Transnational Criminal Organizations” issued under President Obama in 2011, the Treasury placed Nasif Barakat and his gang, based in Homs, Syria, on a list of people and entities whose assets under U.S. control can be frozen. The action generally prohibits U.S. citizens from dealing with Barakat or his group. “The Barakat TCO is a human smuggling organization based in Homs, Syria, that facilitates the smuggling of Syrian and Lebanese nationals to the United States border using a variety of travel routes. “Since 2013, the Barakat TCO has facilitated the smuggling of hundreds of individuals to the Southwest border of the United States. “Nasif Barakat is being designated for materially assisting, sponsoring, or providing financial, material, or technological support for, or goods or services to or in support of, the Barakat TCO, and for acting on behalf of the Barakat TCO,” the Treasury said in a statement. The designation of the group as a transnational criminal organization “is an important step toward disrupting Barakat’s prolific human smuggling operations in Syria and around the world,” Sigal Mandelker, Treasury undersecretary for terrorism and financial intelligence said, according to the statement. “We will continue to work with our partners to take action against human smugglers who prey on the vulnerable, expose those involved in their reprehensible activities, and protect the U.S. financial system from abuse,” Mandelker said. 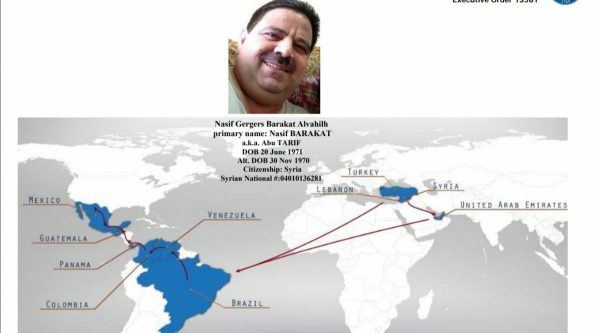 Barakat and his gang operate a global network of traffickers that smuggle foreign nationals to the United States for an average price of about $20,000, the Treasury said in a statement. Trafficked individuals are provided with fraudulent or counterfeit documents, often including passports from European or other countries, the Treasury said. They often travel across Lebanon, Turkey, the United Arab Emirates and Latin American countries before arriving at the Southwest U.S. border, it said. 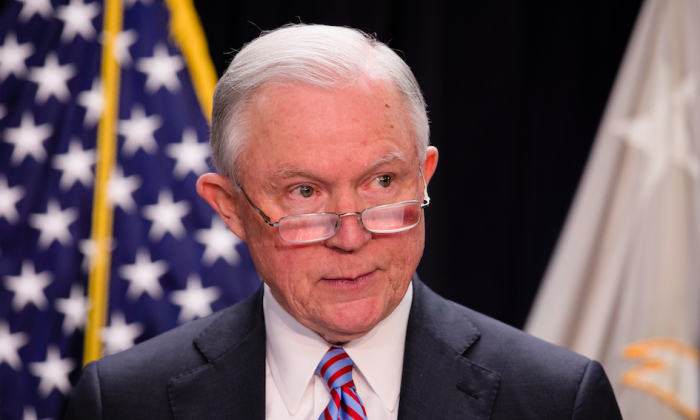 “The day I was sworn in as Attorney General, President Trump sent me an Executive Order to dismantle transnational criminal organizations,” said Attorney General Jeff Sessions.